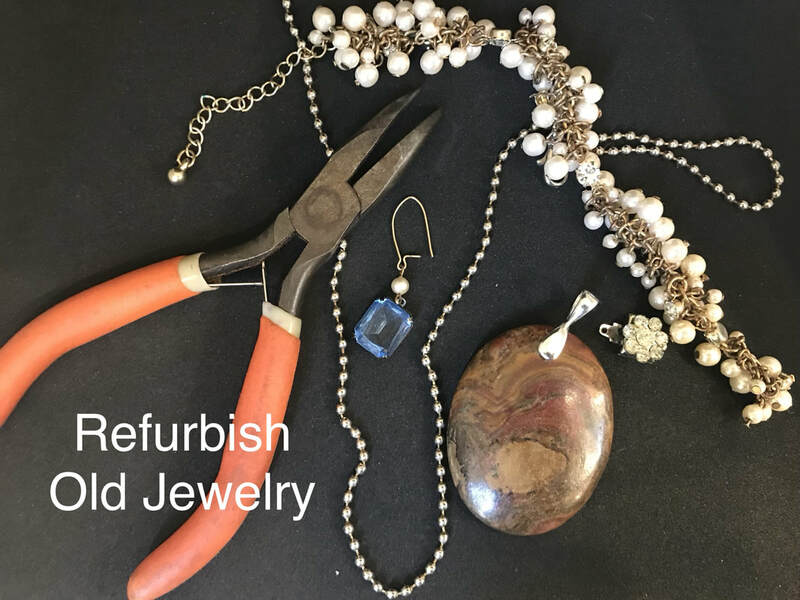 Refurbish Old Jewelry: Bring old, broken or discarded jewelry to new life. With the help of the instructor, figure ways to re-create or repair those pieces that you just can’t seem to part with using a variety of tools and techniques. Bring your own pieces. Tools will be provided, and certain materials will be available for purchase during the class as needed. ​Note: not all old pieces can be salvaged, but creativity will be encouraged for each one. Kim Rumberger is a Cape Cod metal clay jewelry artist and instructor. As a teenager, Kim began metalsmithing in high school and continued in college. At her home studio in Bedford, MA, she gave private jewelry lessons and created unique pieces. She came from a very creative family. Her mother was an abstract painter and weaver, her father had a pottery studio at their home, and her brother practiced photography. Although she continued to remain active in creative arts, she took time off from her jewelry making for her career and to raise a family. After taking a refresher course in 2013, and deciding to rebuild her studio to begin again, she discovered metal clay. She was fascinated by the combination of ceramics and metalsmithing, and all the possibilities this new option provided. She took a metal clay course and studied intensely on-line, and has now become a huge fan of the medium. She now has a home studio, where she works on her art daily. Kim creates one-of-a-kind, handmade jewelry pieces from a wide variety of materials, including silver, base metals, crystal, bone, pewter, glass and Greek clay beads, semi-precious stones, leather and hand-poured resin. Her designs are inspired by the natural beauty and surroundings of Cape Cod, and incorporate the patterns and colors of our unique plants, animals, water and sunshine. Her work has been selected for a number of juried shows on Cape Cod. One of her necklaces was given a First Place award for Three Dimensional Art in the 2015 All Cape Art Show. Some of her pieces are available at Red Fish Blue Fish, an art boutique on Main Street in Hyannis. Kim also participates in many local art shows and festivals, and was recently a featured artist at the Revelry Art Celebration at the Cultural Center of Cape Cod. In November, 2016 Kim was selected as one of 10 artists world-wide to test and document the effectiveness of a new series of bronze metal clays by an Australian clay manufacturer. Now retired from Barnstable Public Schools, Kim offers classes at the Cape Cod Museum of Art in Dennis, the Cultural Center of Cape Cod in Yarmouth, The Sandwich Art Alliance, and Cape Cod Cooperative Extension’s Youth Programs. She is juried in the HyArts District (Hyannis Shanties), The Chatham Center for Creative Arts, Cotuit Center for the Arts, and the Cape Cod Museum of Art. 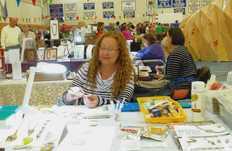 She is a member of the Mid-Cape Cultural Council, the Bead Society of Cape Cod, The Cape Cod Makers, and a founding member of the Barnstable Education Foundation. Kim resides in Hyannis with her husband, Tim, an educator at Mashpee Public Schools, their two beloved rescued Rat Terriers, and a feral cat. They have three grown boys: Austen, Brant and Kyle.